WIWT : In the office toilet | escaped. Last week I had a whole-day meeting at the tower. On days like this, I usually won't bother with outfit colors cause I have to wake up super early to beat the traffic. Hence the white top, grey work pants and blue scarf (because blue matches with everything). 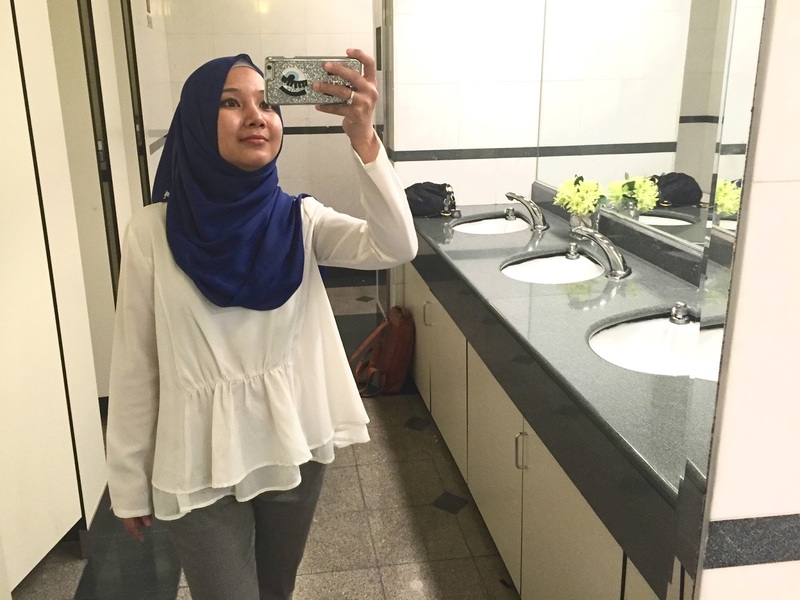 White gather top from FVbasics, Blusenberry georgette scarf from dUCkscarves, grey pants from Zara. 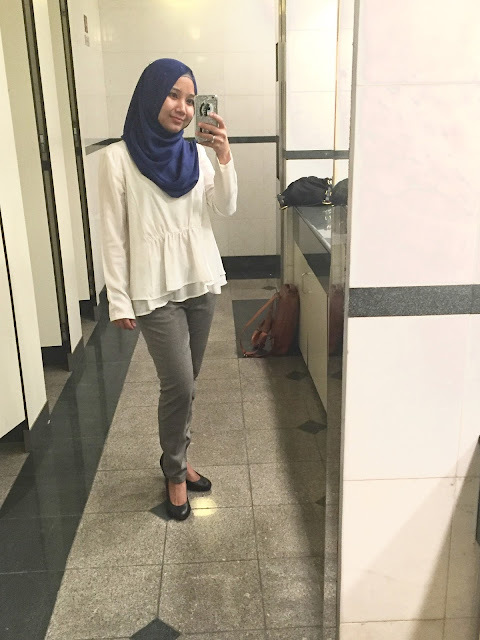 I'm liking FVbasics a lot now - most of the items I own are below RM100, fits OK-ish (their UK6 usually runs small) and ones that I find myself wearing over and over again. The materials actually make the tops and pants look more expensive than their price; which I think is important. Sometimes my colleagues wouldn't believe it when I told them they're below RM100! So if you're looking for cheaper alternatives of your wardrobe staples, consider browsing through FVbasics. Taking shots at the office toilets actually isn't so bad.